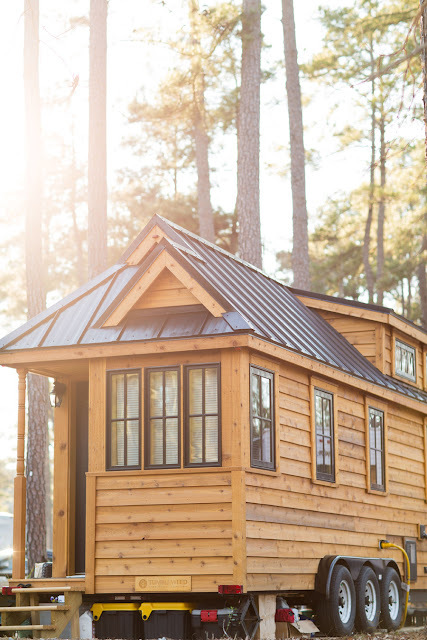 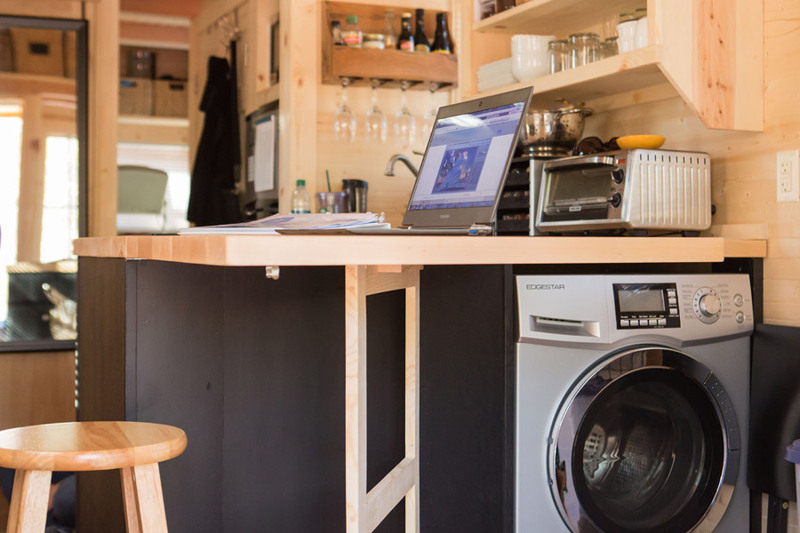 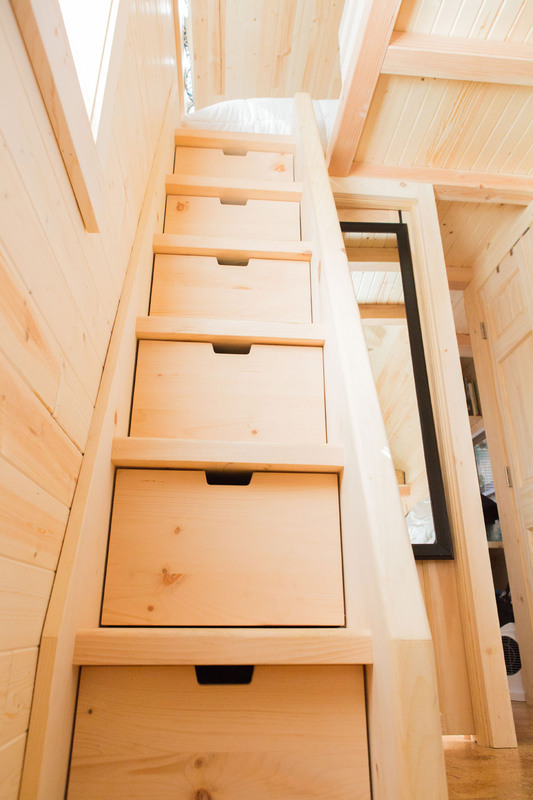 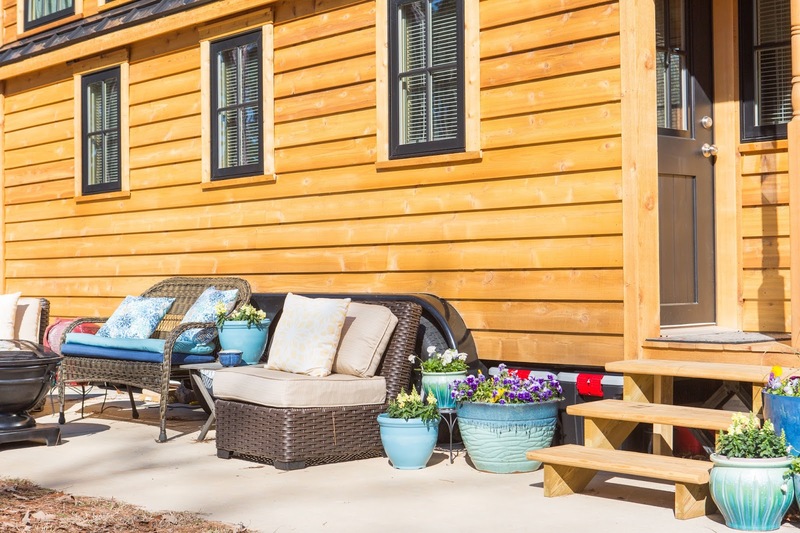 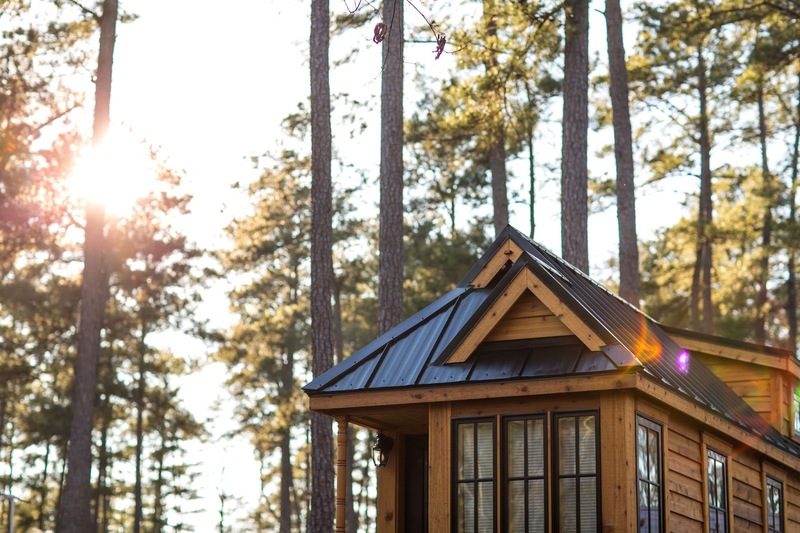 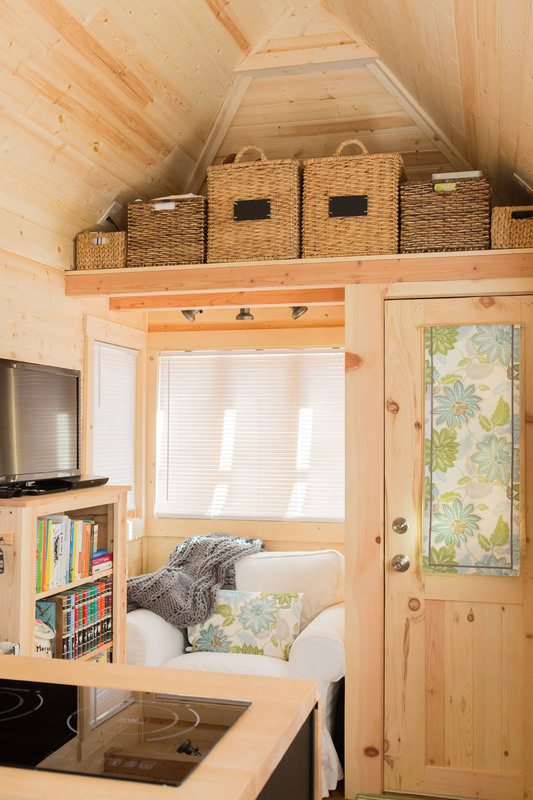 This tiny house is another beautiful home by the Tumbleweed Tiny House Company. The home, the company's Cypress model. 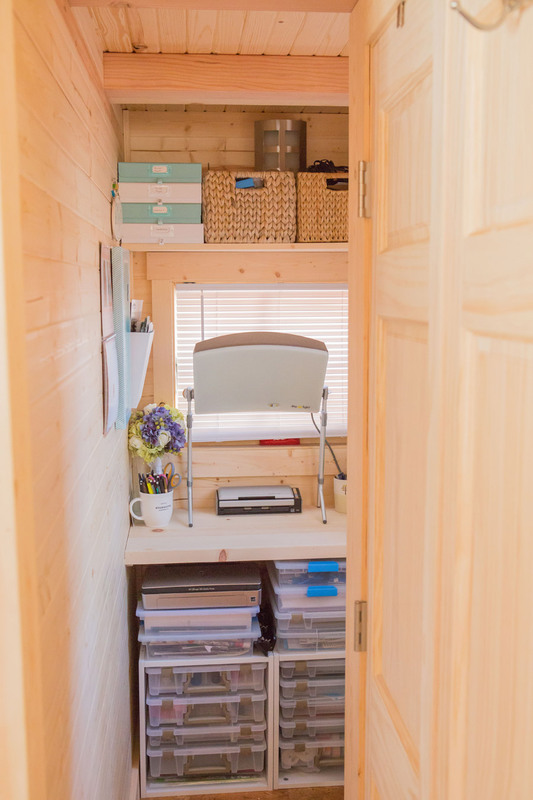 measures 192 sq ft on the ground floor, with the additional loft space bringing the home size up to 230 sq ft in total. 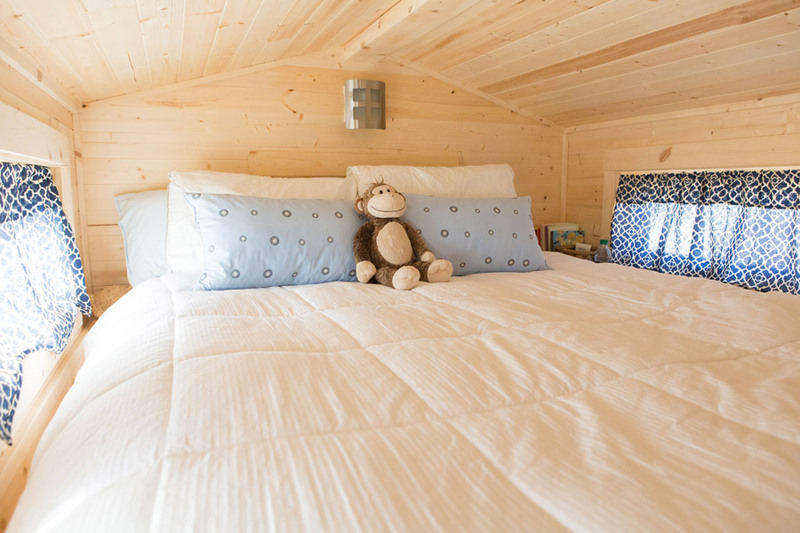 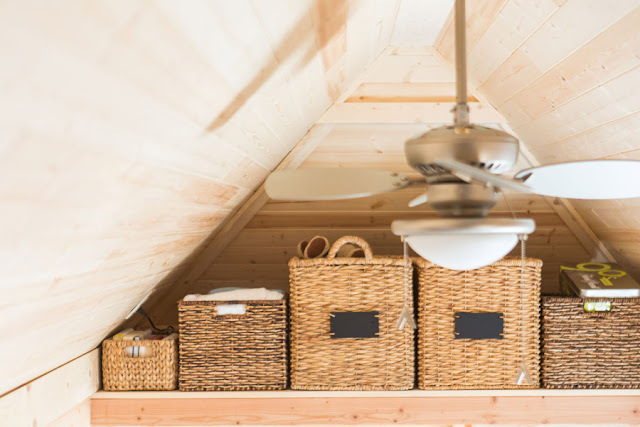 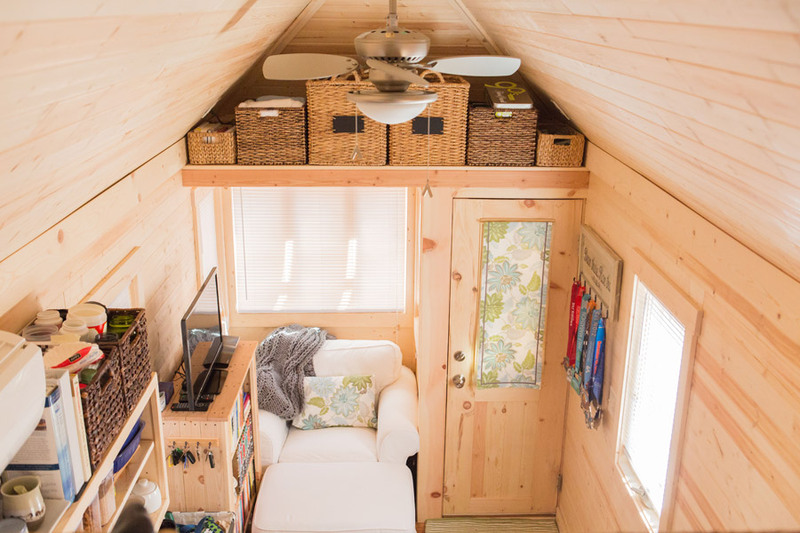 There's a reading nook, desk space, a full kitchen, bathroom, loft bedroom, a second space you can use for an office or guest room, and a small front porch. The home's owner, Lora, also added an area for outdoor relaxing. 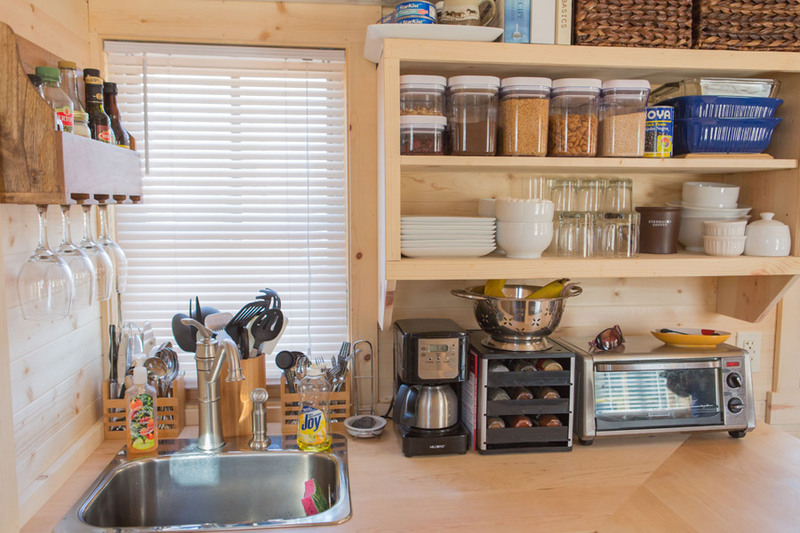 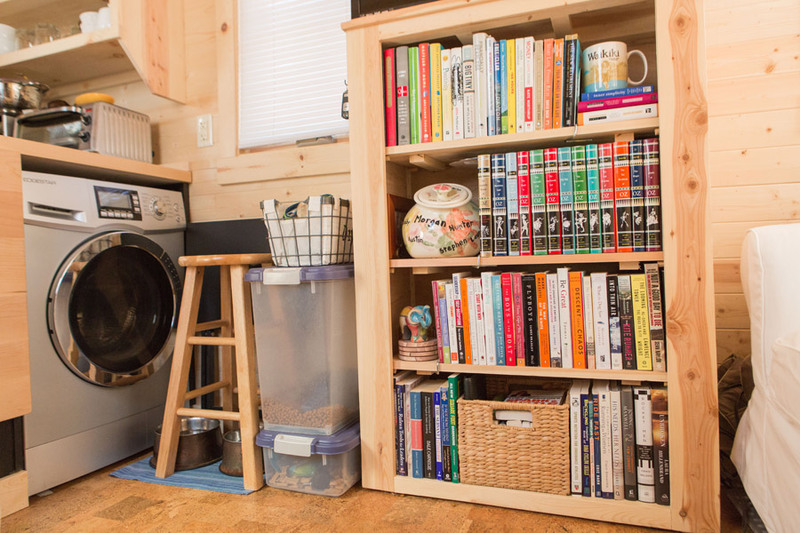 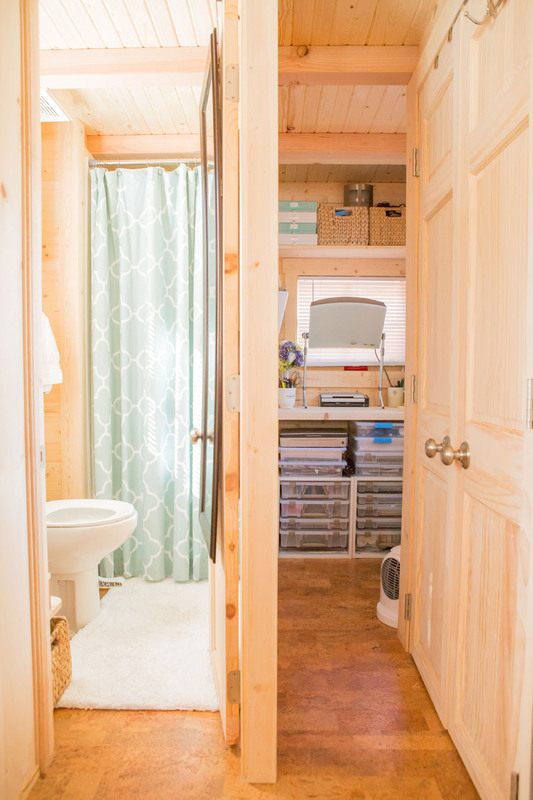 In addition to offering speeches on tiny house living, Lora also runs a blog called Tiny House Teacher where she shares details of living in her tiny house. 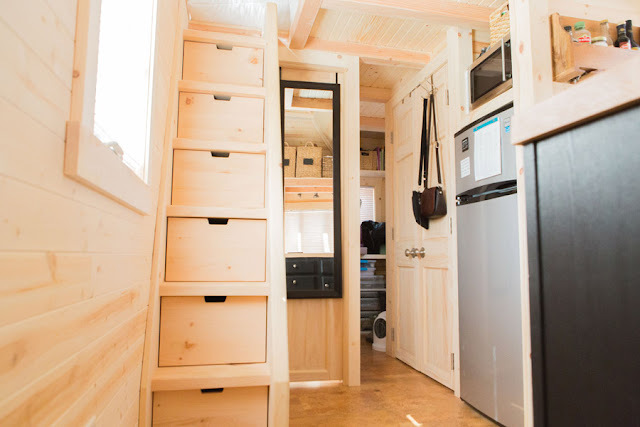 She currently has her tiny home in an RV park. 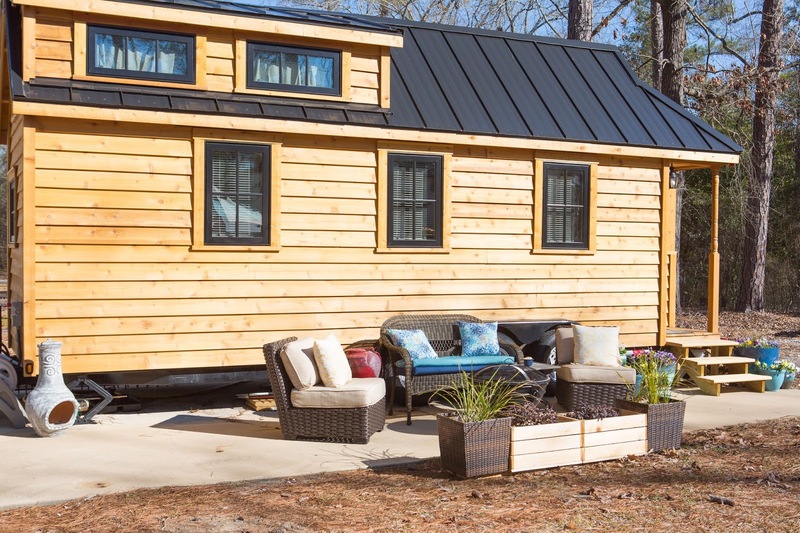 Be sure to watch Tumbleweed's video tour of the Cypress below!